Let’s face it, most of us hate flossing. The worst is when you go to the dentist and they start giving you a hard time about not flossing properly or not flossing at all. You can avoid all this by starting to use the WingBrush, which will let you floss your teeth without the need for a string of floss. It’s easy to use and lets you floss your teeth with the press of a button. 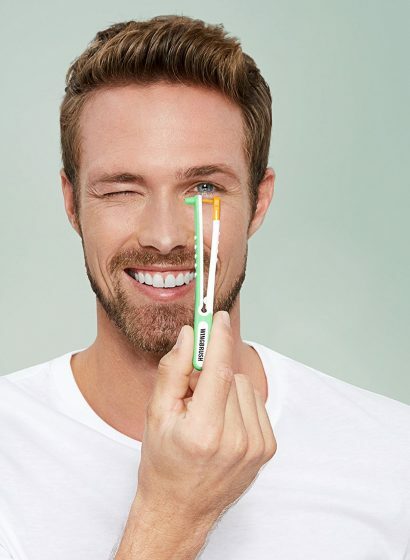 The WingBrush uses a brush which will gently slide between your teeth each time you press it down. You simply have to place it between the two of your teeth and press it down. A brush will slide between your teeth when pressed and it will come back out when you let go. The WingBrush will get out anything that was left between your teeth. You can repeat this process between every tooth. It is very important to clean the spaces between your teeth to prevent tooth loss and diseases such as periodontitis, diabetes or even heart attacks. It is not a common known fact but more than one third of the entire tooth surface is hidden in the spaces between your teeth. A simple toothbrush can’t reach and clean these spaces in a proper way, which makes flossing even more significant. 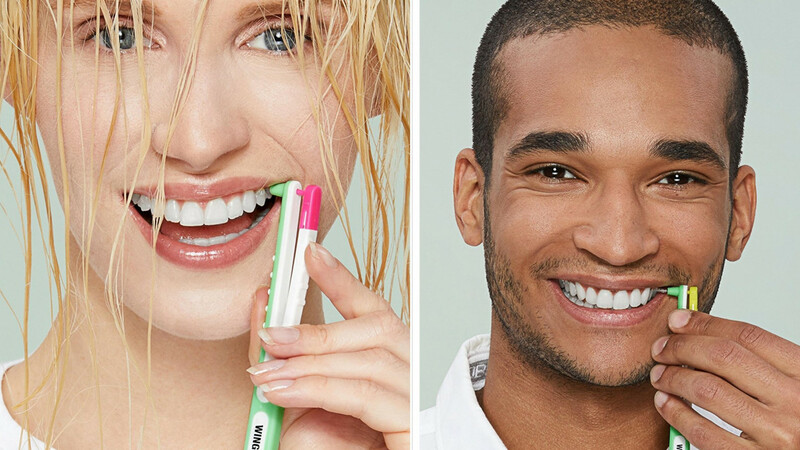 The WingBrush will work around all your interdental spaces. This is including around crowns, around implants and under bridges. It’s especially useful if you have braces. You will be done in much less time than actual flossing. It will also remove more plaque than flossing or tooth sticks. And most importantly, with the Wingbrush, you will not be grilled every time you go to the dentist!